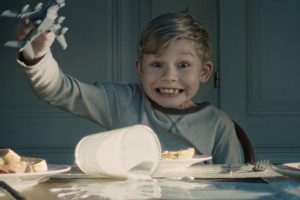 This campaign for Unilever was prepared by VCCP, Prague and shot by our skilled and witty director Jan Zajíček and his team player Jiří Málek behing the camera. It was voted the best campaign of the 9th week of 2018 by the media gurus of the internet. Yeah! The script draws on the morning slips and slides, presenting quite a few of the little things that could turn an innocent morning into a nightmare. Except for Creme Bonjour. The contrasting visual is supported by music, so if you haven’t noticed, play it once more and you’ll get what we mean. We always insisted that music was a crucial part of the commercial business. Shot on one location within one day. That’s how we roll. And yes, it was a smooth shoot. What else could it be considering the product. Introducing another music video featuring one of Czech most popular hip hop bands PSH. Directed and edited by Vít Hradil, the video takes you behind the scenes where you can meet the crew and get the real feel of the shoot. The idea was to visualize what is expressed in the lyrics of the track. Shitstorm to be exact. Check out our DP Jan J. Filip as he gets pushed to a side, feel the pain of the camera operator Marek as the film roll spills out of the camera. Laugh at the production crew stuffing their mouths and the bored make up artist checking her phone. The raw fame and glory of a shooting day is exposed. It took 2 days to shoot on Arri Alexa in a studio and warehouse location as well as in a camera car which is clear to those in the know. Postproduced by Achtung 4k and brought to you by Bigg Boss. We are fans of unusual projects so this new spot for www.jic.cz was a challenge we gladly accepted from the WMC | Grey agency. Introducing a city and its perks in less than a minute. Presenting a place to live and to love specially if you are big on technology and new business, enjoy history, culture and active lifestyle.Three shooting days on various locations around the region and 1 studio day with postproduction in mind. Applying new technology like using a chair instead of a dolly… and other fun things all under Luboš Vacke’s direction. This piece of our work is quite unique. It could be classified as a short film with an exclusive soundtrack or a music video for a whole album. Either way, it is an artistic expression of an experimental producer – DJ and a filmmaker who happen to be friends of ours. Director Marielle Tepper with Jirka Málek behind the camera give a controversial visual story to equally captive tunes by Gaslamp Killer. Brought together by editor Phil Nisco, it is a killer opener for Gaslamp Killer’s 2017 World Tour. Three shoot days, seven deadly sins and almost eight minutes of critically acclaimed show rated as NSFW for most parts. Covering the cast, production design, shoot as well as postproduction was a challenge that we gladly accepted. Beautiful, gentle and holiday inspired campaign for the Czech Red Cross was shot in Bukovany, where there is a specialised children’s sanatorium for respiratory illnesses. Simple black and white stylisation and well known Christmas carol cover performed by eminent and charismatic singer Kamil Střihavka who is also the protagonist bring the attention to the subject matter in a humorous and attractive way. Directed and shot by Vít Hradil. Supported and greatly enjoyed project by our whole team. Winter brings cold and cough and a lot of commercials that advertise pharmaceutical products. It is much harder than it seems to shoot a good spot for cough drops. One that stands out and makes the audience reach for the product in question. 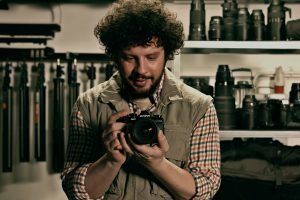 Director Vít Hradil and DoP Martin Polách present a simple, straight forward and easy to remember spot for Pfizer. It was a pleasure to cooperate with local Comtech_Can agency which is a part of newly established European network We Can covering the countries of former eastern block. Sometimes the only thing you can do to solve a problem is to relax and enjoy the good that life offers. Fernet Citrus commercials draw on that in their summer campaign prepared by VCCP, Prague. Director Jakub Štáfek with Jan J. Filip behind the camera captured those troubled moments and within 20 seconds gave them a twist of witty happy-ending. Finding sweetness in bitter times is not a quest, it’s a skill even your mother in law would appreciate. Fashion projects are expected to look stylish, trendy and stunningly beautiful. With this in mind, we produced a video for a private pop up life-style studio designed exclusively for the duration of the 51st International Film Festival in Karlovy Vary. We’d like to credit our creative partners from Social Mixer whose ideas mix well with our production approach. Director Vít Hradil, was in charge of a 1 day shoot in the back stage of a photo shoot realized by Elle for the cover of their current summer issue. It was an incredible opportunity to get the real fashion vibe. Together with distinctive appearance of Mr. Jiri Bartoska, the festival’s president, we managed to capture a truly film “meets beauty” spot. To achieve vintage look and glamour of the stars, we used old-school camera lenses, B&W look and classic film music. Hope you will enjoy the retro style of Hollywood in a whole new way. Bringing back the best of the old and giving it the most of the new. 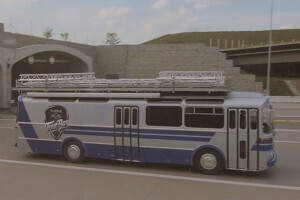 This much could be said about Red Bull’s project which turned an old bus into a concert stage. Online campaign allows fans to pick the destinations where the concerts would be held. Interaction from the first moment is what we like about new media, so we were happy to shoot a teaser/invite for the events. Our beloved oldskool hip hop performed by Indy&Wich+LA4 meets new style rap presented by Kenny Rough and Paulie Garand. To top it off, there is the multi-musical formation of Champion Sound. Retro style meets contemporary and the show is on VFX fire. One day of shooting on location. Director and creative credit goes to Ovar Marysko. Big up to bringing people together, having them dance and party in the open air of the summer with a full on stage that is easy to move from city to city. The Red Bull Music Academy is a world traveling series of music workshops and festivals. Our latest video maps out one such event which took place in early March, 2016 in Ostrava. Young director Anežka Horová came up with a multi-medial concept connecting the star, Japanese dnb king Makoto, with the industrial location of Ostrava and the flow of the workshop itself. 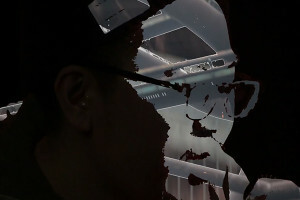 45” video was shot on location within 2 days and the postproduction combines video art and collage. As the name Ping Pong Communications suggests, this Austrian agency challenges the usual client vs agency vs production company approach and looks for a cooperation that is playful, fair and enjoyable for all. We were asked directly by the agency to work on 2 television commercials targeted for the pan-european market. Two day shoot within locations of the Czech Republic and two directors who work together as a duo called Kronck from Germany. A couple with undeniable talent to express emotions in moving images. TVCs were versioned for different european markets in various edits. We first introduced our cooperation with the multi-talented artist Vladimir 518 in 2012. His directing debut was a video in our production for his solo track “Nemám zájem” 2016 brings a brand new music video. Written, directed and performed by Vladimir himself again. This time in collaboration with creative visual artist and animator Josef Lepša who is responsible for the subtle yet intricate 2D and 3D effects. We are eternally grateful for the unique opportunity to shoot this video within the grounds of Vítkovice Heavy Machinery in Ostrava. No other crew were as lucky so far. Big respect to music producer and one of the main cast, Mike Trafik who had to improvise and look for ways to fit the music to the picture and the picture to the music. It was a new experience for the whole crew. 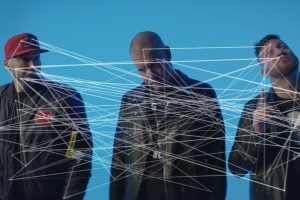 The video was developing simultaneously with the track. We had the lyrics for lip sync and the basic beat but the final track version was mixed once the video was shot. It took two days on location and 1 day in a studio in Prague with Mark Bliss behind the camera. spot is in fact an American dream. Once upon a time there was a mother who needed a baby carrier and so she made one from scratch and it became so popular that she now owns a well respected company with over 30 stores around the world and has a spot shot in Barcelona by a very popular and creative Czech filmmaking duo Jan Zajíček who has the vision and Jirka Málek who records it. Popular viral videos style where location changes with each step is used to introduce the benefits of the product. Cute, simple and smart exactly like the brief. We listen to our clients and make them happy, baby! In the beginning of 2015 we produced a series of 13 spots for European athletics indoor championship starring Pavel Liška. Shot in a studio within 1 day, these 45 seconds long spots draw on stand up comedy humor performed by one of Czech eminent actors directed and shot by Jiří Málek. Aimed at the athletic fan base, each spot carries a quiz question that relates to the European indoor championship that took place in Prague in March 2014. Original concept was supplied by Concept One creative agency for Česká Spořitelna as a client. It is simple, straightforward and funny. Play on words and a few props were used in order to attract attention and ignite the competitive spirit of fair play. More information on the quiz series here. 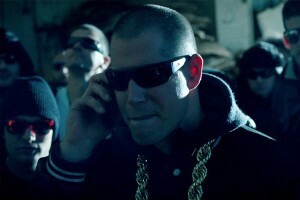 Music video for Smack One featuring Mike Trafik was shot in a studio. Minimalistic set, cast including animals, stroboscopic effects and a gradual change from black & white into color guided by director Martin Kopp with Jan J. Filip behind ARRI Alexa camera. Anamorphic lenses were flown from Panavision London specially for this music video. Linear story is rhymed in grime, music genre that originated in the UK in the early 2000s. Color change that is most obvious half way through the video marks the transition from the past to the present of the story telling. Cut to the rhythm and the strobe by Jakub Vansa, post-produced at SPOON. Friendly warning: it may not be suitable for people suffering from epilepsy. 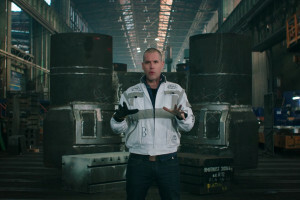 Music video for one of Czech most significant rap and hip hop performers Vladimir 518 was shot in the fall of 2012 at various locations in Prague. 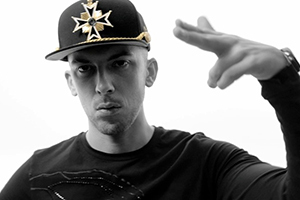 Vladimir’s activity span is so vast and multi-genre that it is no surprise that he took on directing and “Nemám zájem” is his music video debut. Surrounded by experienced film crew and supported by crowd of his fans and friends as cast, it was a proper shoot where special effects were used and hours of footage were taken to post. Fresh, fast and fine, it will have you watch it a couple times to get all the details that reflect the staged underground scene of the nineties in the heart of Europe. 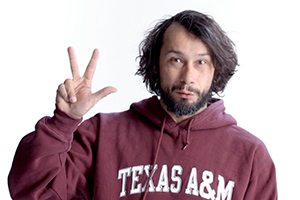 DOP – Jan J.Filip, editor very much sought after Jan Zajíček. Stage direction and effects, light design and content of projections is not our usual work field but when we were asked to provide such production for Lucie, one of Czech most popular rock bands, we accepted with pleasure. A year long project brought fresh ideas, new experience, unexpected challenges and uncovered skills we didn’t know we possessed. Under the direction of Tomáš Mašín and Jan Zajíček, we created content for projections, which included three days location and studio shooting, hours of computer animation, a lot of archives browsing, selecting and editing. 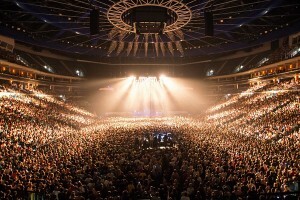 The tour itself, when Lucie, unlike anyone else before, managed to sell out the largest arena in Prague 3 nights in a row thus performing for 54.000 people, was a massive production. The tour was a huge success in Ostrava and Brno as well as in Slovakian cities of Košice and Bratislava. The total number of 130.000 people was the best reward. Our team was responsible for the light show and changes of the scheme for each song. We covered stage effects and the whole scenography, because when the expectations are high, the show must be one to remember. Video teaser for Olbram Zoubek’s exhibition was shot at the artist’s own exterior studio in the end of 2013. Working with the bohemian born in 1926 was a prestigious opportunity to honor a legend. 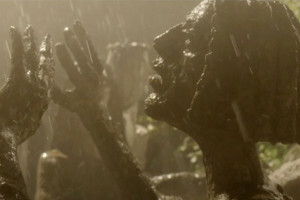 Director Jan Zajíček and DoP Jirka Málek put their artistic background forward and created a moving impression of statuesqueness. Olbram Zoubek´s retrospective presents 70 years of his sculptural career. Imagine the challenge of putting them in a TV spot of just a few seconds. Originally produced for Czech television. More information on the artist here.